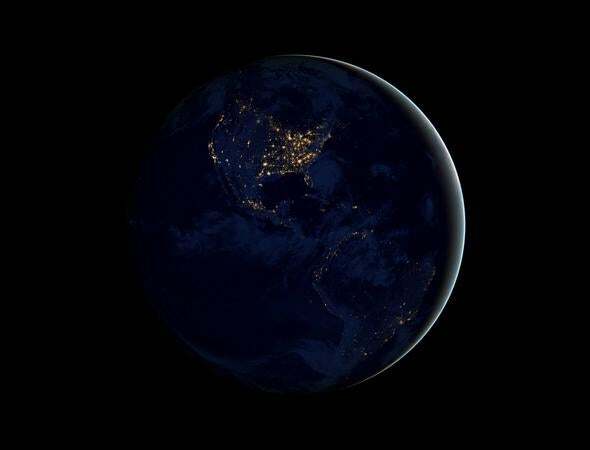 Internet hoax: 15 days of darkness. Hey, it’s been a little while since I’ve had to debunk some piece of utter crap on the Internet. It’s like riding a bike though … if you’re riding a bike over an endless road strewn with what comes out of the south end of a north-facing bull. The latest fertilizer covering the path to enlightenment is the claim that “Earth will experience 15 days of darkness in November.” I’ve heard that the original source of this is the fake news site NewsWatch33, which posts all kinds of nonsense (claiming some stories are true, others “satirical”). Of course, it’s been picked up by lots of other dodgy sites. Then it got on Facebook, which is like an agar dish for such ridiculousness, and from there it’s taken off. OK, let’s start there. One big indicator that this is baloney is the lack of time zones listed. Is that UTC, or Eastern U.S. time? Did Venus and Jupiter remember to set their clocks back last week? Do those planets even have a November? 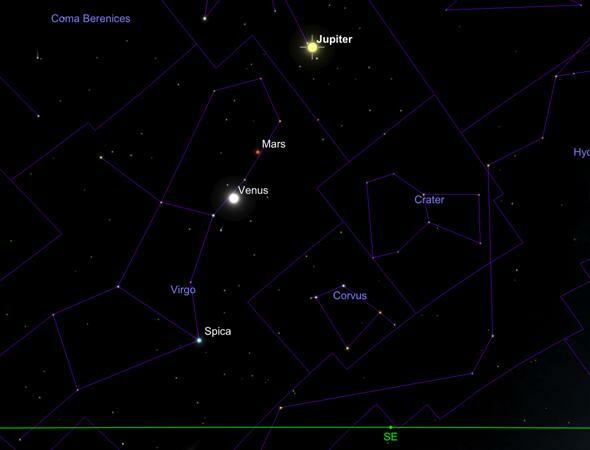 As it happens, Venus and Jupiter are relatively close together in the sky. You can see them in the morning before sunrise in the east. They’re about 18° or so apart on the Nov. 15. The view facing southeast around 5 a.m. on Nov. 15, 2015. Note no huge tongues of flame emanating from Jupiter or Venus. However, they’re not actually close together in space. Jupiter is about 900 million kilometers from Earth at that time, and Venus about 125 million. That’s means they’re 775 million kilometers apart from each other! That’s a bit of a hike. Also, it’s funny that the claim doesn’t involve Mars, which appears in the sky right in between Venus and Jupiter. Anyway, exactly how is Venus passing near Jupiter supposed to cause us plunging into darkness? The sun will then attempt to cease the explosions by emitting heat from its core. The heat will cause the Sun to dim to a bluish color. Once the sun reaches the bluish color, it will take approximately 14 days to restore its normal surface temperature, returning its normal color to the Red Giant. OK then. Odd punctuation and grammar usagement aside, well, none of that makes any sense at all. For one, if Venus could heat Jupiter from that distance, then we’d be in a whole peck o’ trouble, being seven times closer. Brightness drops as distance squared, so we’d get 50 times as much heat from Venus as Jupiter would! If Big J got cooked, we’d be vaporized. We’re still here, so I think we’re OK. The Sun isn’t a red giant. It’s not even red. It can’t change to a bluish color without doubling its surface temperature, which would make it much, much brighter, not dimmer—the amount of light a star gives off goes as the temperature to the fourth power, so if the Sun’s temperature doubled, it would become 24 = 16 times as bright. Imagine the Sun 16 times brighter. Now imagine the Earth on fire. Does that sound like 15 days of darkness to you? Also, the whole thing about the Sun’s core emitting more heat to counteract the surface temperature increase is just word salad. I’ll note that the core is where the Sun’s heat is generated, but it takes hundreds of thousands of years for that heat to get from the core to the surface. So even if any of this claim made any sense at all—and it really, really really doesn’t—then if there were a problem with the surface, it would be our descendants in the year 1 million who would have to deal with it. I assume there will still be Internet hoaxes around then, too. The site goes on, talking about NASA Administrator Charlie Bolden issuing a “1000 page report” (that seems excessive, even for a government bureaucracy), and more. I don’t think I need to go on. If you feel ripped off reading my debunking, then stare at this picture for 15 days. I wouldn’t bother with folderol like this, but the thing is, some people take hoaxes like this seriously (check the hashtag #NovemberBlackOut if you don’t believe me). They’re not stupid, they just don’t have any familiarity with the science of this. More importantly, most people aren’t taught how to think critically. That does not come naturally to us humans; in fact, just the opposite. People tend to believe things from authority figures, and don’t check the facts. If we taught people how to ask questions, how to dissect claims, how to examine evidence better, then a lot of these hoaxes would evaporate. Not to mention other bad claims, like those from anti-vaxxers, homeopaths, psychics, climate change deniers, 9/11 truthers, creationists, and many more. Remember, too, that politicians are people, subject to the same biases and bad thinking as the rest of us. Those folks actually do have real impact, making laws based on nonsense and attacking real science as well. I’m not worried about 15 days of darkness. I’m worried about the very real threat bad thinking poses to all of us. *Well, I suppose you could add up all the darkness we have in November, and see what you get. So, 12 hours per day averaged over the planet, times 30 days, which is … let’s see … holy wow, 15 days! Huh.